If you use MS Excel on a daily basis for keeping note of everyday tasks, salary receipt details, your classified writings for publishers, then it is paramount importance to prevent your Excel worksheet files from unauthorized accessing or modifying. Once the Worksheet protection is turned on, only the original author and the people who has been received the password will be able to modify the spreadsheet content. In fact, from the security point of view to consider, Worksheet protection is not the safest feature in the MS Excel, because it apples a very simple and easy-to-cracked encryption algorithm for worksheet protection, so ,Why Microsoft did it like this? That’s because the purpose of worksheet encryption is to stop the alteration of original data and inadvertent deletion. So, even when you protected your Excel sheet with a long and completed password, I regret to tell you the password is still easy to remove. There are many users who despite using MS Excel for over a prolonged period still don’t know the way to unlock password protected Excel files without any technician’s help. They aimlessly try out premium tools which cost more than the password issue is costing them right now. Few other users try to change locked file extensions to unprotect Excel worksheet password, but frequently end up in bottomless disgust. If your Excel sheet is password protected and you do know the correct password, then Unprotecting an Excel sheet is surprisingly easy. Step 2. Select the Unprotect sheet option in the menu. Step 3. Enter the correct password in the pop up dialogue window, then your password will be unprotected successfully! When you forgot or lost a password on an encrypted Excel sheet file, then you won’t be allowed to edit, modify, or copy any contents of a protected Excel worksheet unless you first unprotect sheet. Maybe you think you’ve completely lost all data in the worksheet, but in reality it is not. The good news is that you can use Google sheet application to unprotect Excel sheet without wiping data. However, this method works only for worksheet itself, won’t work if the entire Excel file is protected. Step 1. 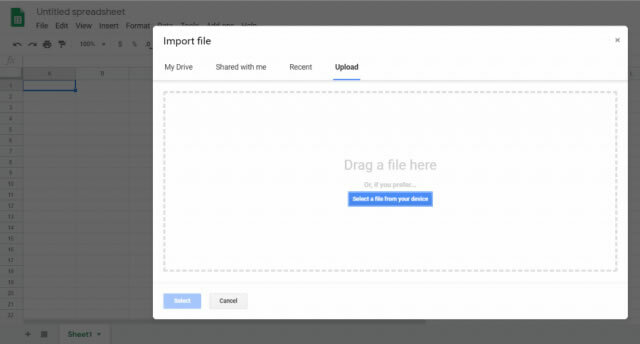 First, I suppose you have a Google drive account, then sign in your Google Drive, and open a new sheet. Step 2. In the sheet, click the option "Select a file from Your Computer", then select Excel file, then click Open. Step 3. Browse your tarted worksheet file and click Import. 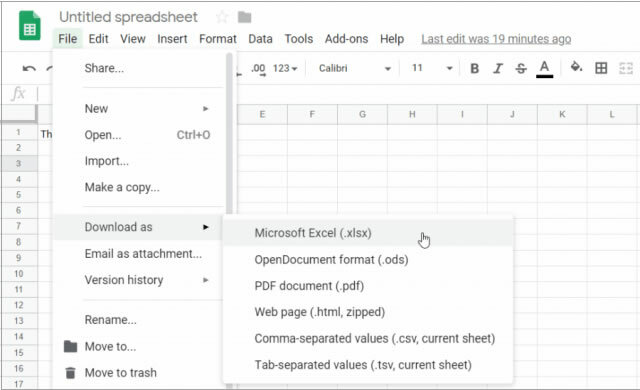 It will import your Excel worksheet into your Google sheet. You will see your worksheet is unprotected and you’re allowed to edit without password. Step 4. In the now unprotected Google Sheet, click the "File" menu, click "Download As," then select "Microsoft Excel (.xlsx)." and set a name and save it. There are many legitimate reason why you need to unprotect a password protected worksheet, such case, you forgot the original password, or you need to make some editing for content in the sheet. PassCue for Excel will give you legal means to unlock a Excel password without touching internal data. You won’t be required to demonstrate that you a legal right to access worksheet because it’s a software which can be downloaded and installed on your computer. It is cross platform and is available for Mac and Windows. PassCue for Excel tool comes with a pretty cool UI which makes the operation so easy! It has two password recovery options: One is for Excel open password and other is for Worksheet/worksbook password. 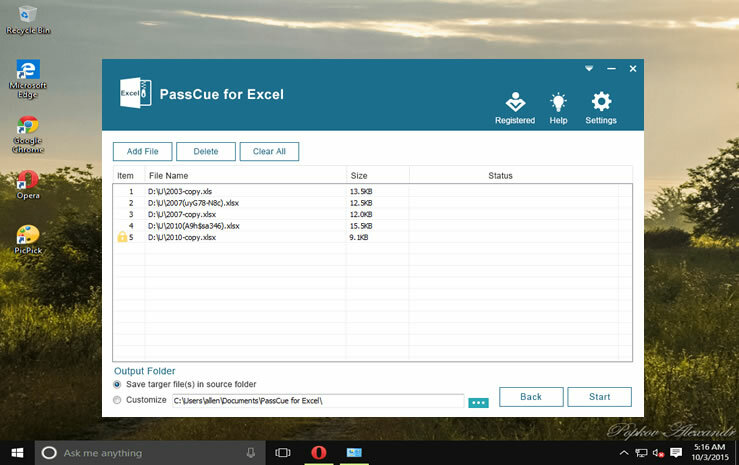 If your Excel is password protected by File Open password, then PassCue can quickly recover your lost Open password with three attack methods: brute force attack, dictionary attack and Mask attack, if cooperating with GPU, recovering a 8 length password will only take 1 - 3 hours. If you forgot the worksheet password, then this software is capable of removing all password instantly with in seconds without erasing anything, Unprotecting worksheet will take no more than 10 seconds regardless of complexity of a password. It fully supports all Excel version including Excel 2016/2013/2010/2007/2003 and keep updating. Step 1. 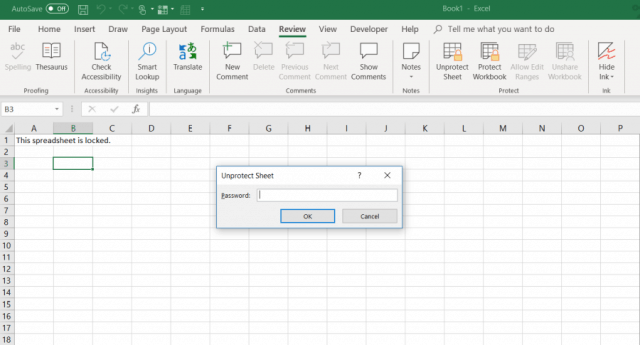 Download the tool firstly to your computer containing the password protected Excel document by clicking the Download button above. Install the program and run it as an administrator. You will see there are two options for your choice, to unprotect worksheet protection, you need to select the option 2. Step 2. From the program click on "Add File" button, and browse the required worksheet file and import it. You can set a location to save your decrypted Excel file. Then click Start button to begin, you will see the Worksheet password will be removed instantly. Unprotecting worksheet passwords is an essential task in dire emergencies, and if your file contains highly confidential data, you cannot deny it for later. Besides, before calling any tech guy, at least try the methods mentioned above. In fact if you follow them correctly step by step, undoubtedly you will gain access to your locked word document. 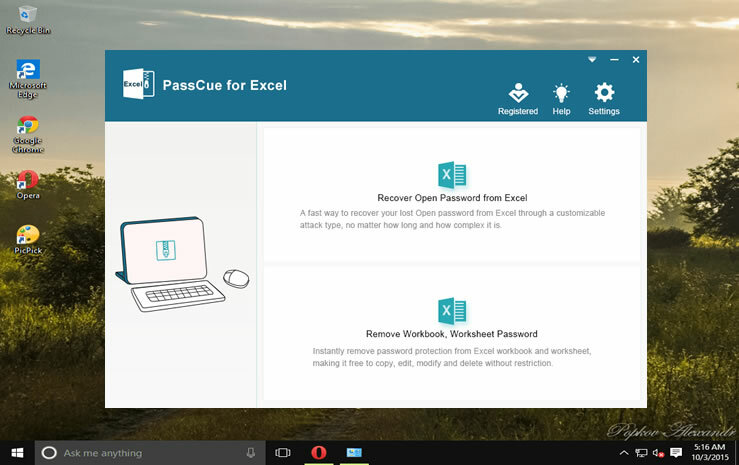 For a better and a sure outcome, rely on PassCue Excel Password Recovery tool. Nadine is the Editorial Director at PassCue Studio. You can also find her on social network. "How to Find Excel Password Instantly "
"How to Fix Excel File Not Opening "
Copyright © 2018 www.PassCue.com. All rights reserved.